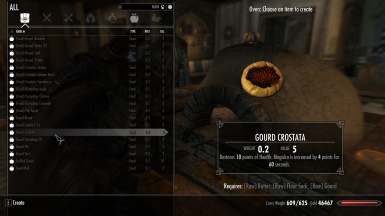 Port of the Oldrim mod to SSE by Jokerine. 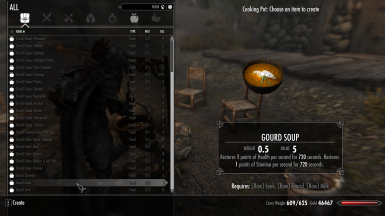 - Addon Textures - Soup by Kjell Granlund. 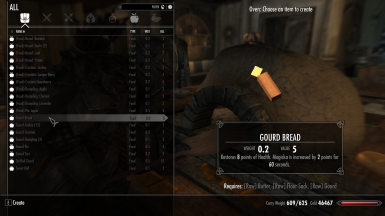 - Food Stuffs resource by InsanitySorrow. 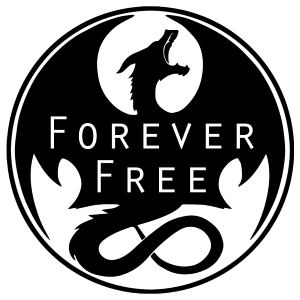 - The TESA Skyrim Resource Kit Project at TES Alliance. The .esp has been saved in form 44 in the CK. All meshes and textures have been processed and run through the latest version of NifOptimizer to insure compatibility with SSE. Since this is a port, this mod is offered as-is and will not be getting any support from Jokerine. She has retired from modding and is not planning on updating any of her mods anytime soon. I can provide limited support and I did test it in my game to make sure it works. 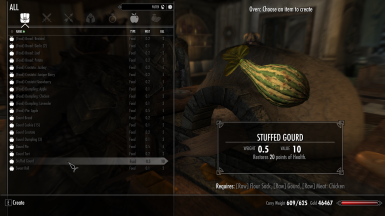 This simple mod was a request for some food recipes using gourds, and as always, I'm happy to help! The file has been cleaned with TESEDIT. 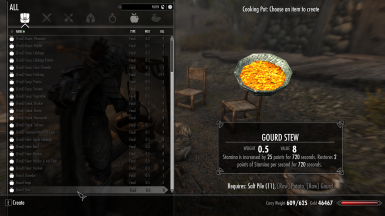 I added a grand total of 10 new meals, some of which that can be made at the cooking pot, and some others through the oven added by Hearthfire. The items added are bread, pie, crostata, dumpling, tart, cookie, chowder, stew, soup, and a stuffed gourd. These are NOT compatible with "needs" mods, so they will not satisfy your hunger, thirst, or anything else when eaten. I am not planning on making compatiblity patches, sorry. 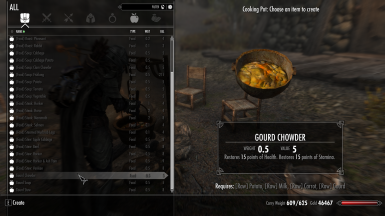 Special thanks to go to Kjell Granlund for the great Addon Textures - Soup, InsanitySorrow for the very useful Food Stuffs resource, and the wonderful fellows from the The TESA Skyrim Resource Kit Project at TES Alliance. through your preferred launcher by ticking the checkbox next to the esp. Jokerine: For the original mod and allowing open permission to port. Many thanks!